When you have a channel and reach certain milestones as a YouTuber, you are rewarded in a variety of ways that recognizes that accomplishment. Today, YouTube sent us our first milestone award The Silver Play Button recognizing 100,000 subscribers to our channel! Although we reached that goal in October 2016, and our channel now has 147,300 subscribers, it still holds immense thrill to receive this award and to know our hard work continues to be appreciated by so many! YARNutopia.com is what it is first and foremost because of EACH of YOU that show up to watch my videos, subscribe and follow me on social media! We hope to continue to provide great content and crochet videos so that we reach each milestone together! Your support means more that you will ever know! So, thank you for helping us reach this goal. Thank you for sharing my videos and believing in us. It feels like a myriad of emotions all balled up like a ball of yarn! Humbling, thrilling, exhilarating are all the feels going on right now!! Before closing this blog, special attention has to go to my wonderful parents. There are no words to express how much each of them do behind the scenes. My dad is the best cameraman ever and without those mad skills, we would not be who we are. My mom’s creativity is out of this world! There are no words. I am so grateful for the ongoing support of amazing parents, my brothers, my sister-in-law (and future Matron of Honor), my nephew (who makes the best model ever), my Nate who walked in to the life of a YouTuber no questions asked and embraced what it all entails, and to each one of you that invite me into your home each day, thank you, thank you! This award belongs to all of us! We are looking forward to our next milestone! A special thanks to YouTube for recognizing our accomplishments with this very cool shadowbox plaque. Usually it’s only my hands that are seen. As we passed over the 100,000 subscribers mark on our YouTube channel, we felt the best way to express our gratitude to those who are watching, sharing, and recommending our videos was to post this small personal video of thanks. Thank you doesn’t even begin to express all we wish to say to you for the love you have shown us over the past two years. Because of you, we have been able to do something we love. It is hard to believe that a few of years ago, I picked up a hook and a skein of yarn to help me cope with long stays in the hospital and that would lead me on this amazing path, but here we are!!! I could not have reached this amazing goal without YOU, but my family has been instrumental in making YARNutopia what it is as well and deserve a mention of sincere thanks. My mom is my creative guidance, the person who helps me bounce around ideas, a constant support and best friend. My two older brothers and my sister-in-law are one of the most encouraging teams around! My nephew, who shows up from time to time as a model, is the cutest little guy anyone could ever ask for. And of course, Nate. He is the one who is there to cheer me on when I am frustrated and helps me untangle my yarn when my projects go awry! But the most important Thank you behind the scenes goes out to my Dad! His camera skills are unsurpassed and he does so much work in the studio that no one sees. In this video, I am onscreen with my Dad, Fuad Azmat – yes, my dad comes out from behind the camera to give a huge shout-out to everyone and to tell you how much it means to us to have you as a part of our YARNutopia community. 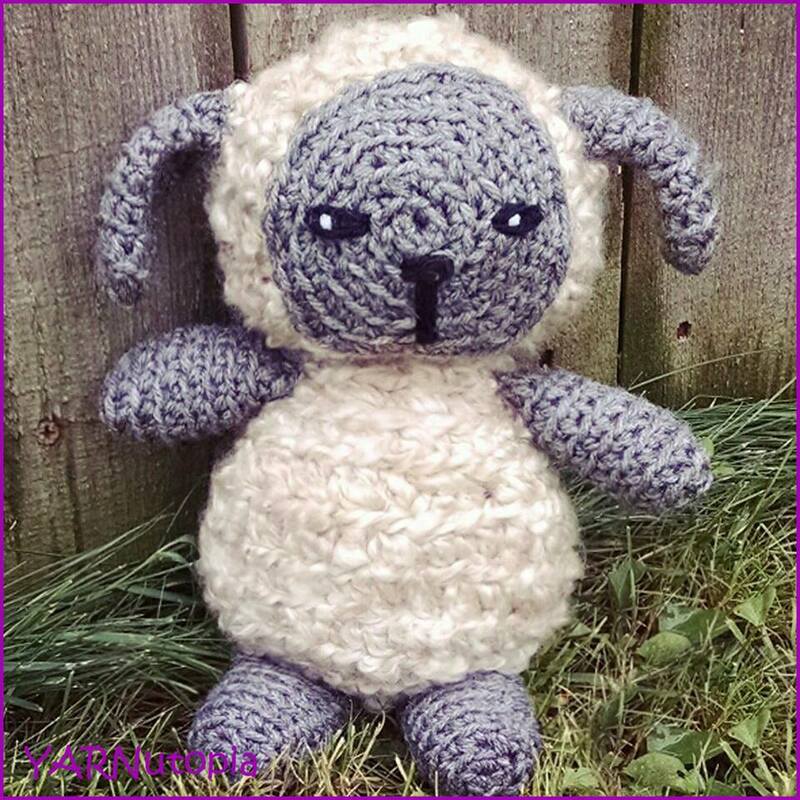 We love bringing you crochet tutorials and hope to continue to grow for years to come! Thank you once again YARNutopians, you are the BEST! !